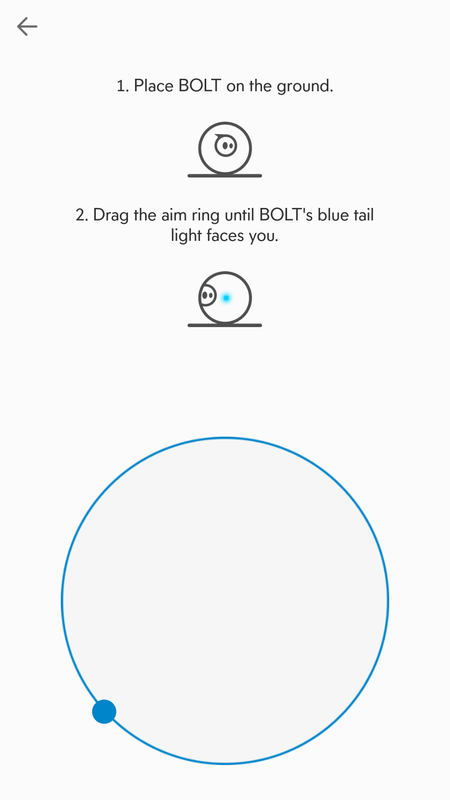 Design The Sphero Bolt is tiny, at just 73 mm (2.9 inches) in diameter. The LED screen is neat. Software The programming app is excellent, with plenty of sample projects created by Sphero and the community. 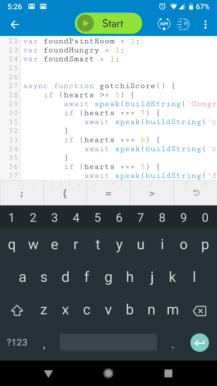 You can also edit programs on a desktop computer and sync them to your phone. Battery life Sphero advertises "2+" hours of play time on a single charge. Price The $50 Sphero Mini has almost all the functionality of the $150 Sphero Bolt, minus the LED screen and infrared sensors. Software (again) You can't run programs on the Bolt from a computer, you have to sync the project to your phone and run it from there. Battery It takes up to six hours to fully recharge the Bolt. 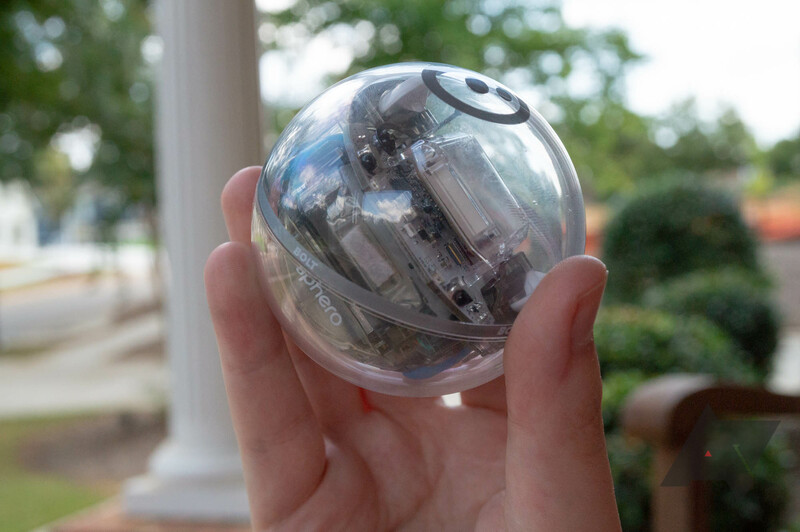 The Sphero Bolt is a small plastic sphere, measuring 73 mm (or 2.9 inches) in diameter. Just like the SPRK+, it's fully translucent, so you can see all the circuitry and motors contained within. Sphero doesn't have an official durability rating for the Bolt, but I accidentally dropped it down a flight of stairs while driving it around, and the robot survived with only a few scuffs on the exterior plastic. 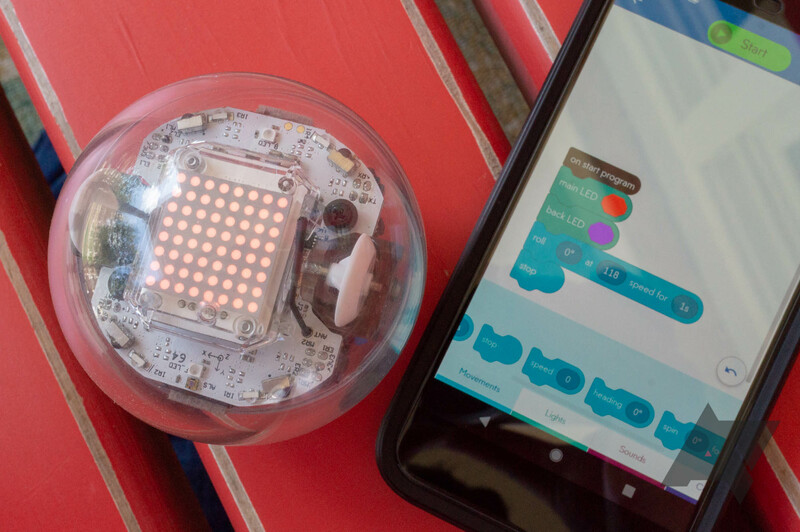 The main new feature of the Bolt compared to Sphero's other products is the 8x8 LED matrix. 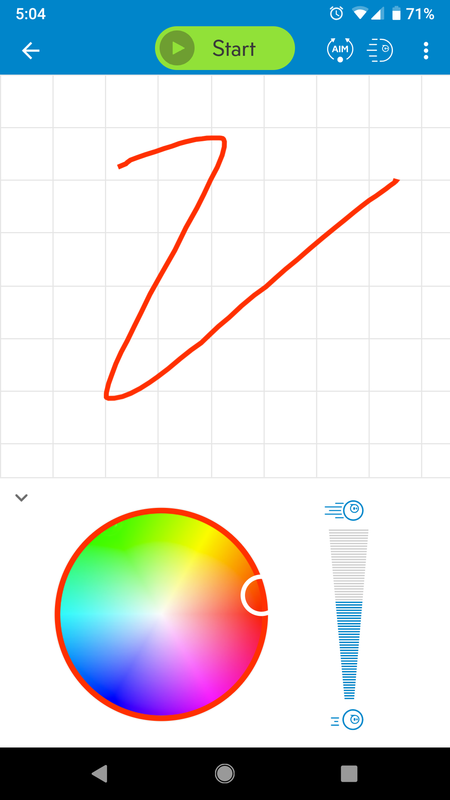 This is mainly used to provide visual feedback for programs; for example, you can have the display change colors based on the result of sensor data. Another feature exclusive to the Bolt is that it can talk to other Bolts, using infrared communication. I wasn't able to test this, since Sphero only sent me one unit, but it does allow for interconnected programs. For example, one Bolt can broadcast a certain number, and nearby robots can execute a program based on the number received. I imagine this will be a selling point to schools buying Bolts in large quantities. To charge the Bolt, you just have to drop it into the included cradle, which draws power from a microUSB port. The Bolt lasts for over two hours on a single charge, but Sphero says it can take up to six hours to fully charge the robot. This probably won't be a problem for consumers, but it might be for schools - the Bolt will only last for two or three class periods before it's done for the day. 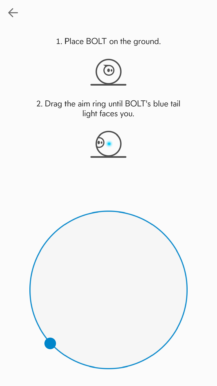 To do anything with the Bolt, you'll need to install the Sphero Edu mobile application. It's available on the Play Store, Apple App Store, and Amazon Appstore. This is where you'll be spending most of your time, and thankfully, Sphero has made it fairly easy to use. You have to set up an account (or log into Google), because all your projects are synced to the cloud. 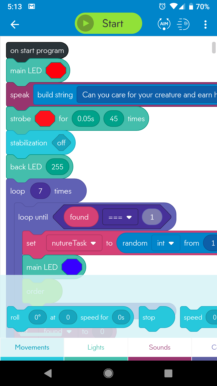 The 'Home' tab contains a feed of all recently-created programs, from both Sphero itself and normal users. If you're out of ideas, these should provide some inspiration. 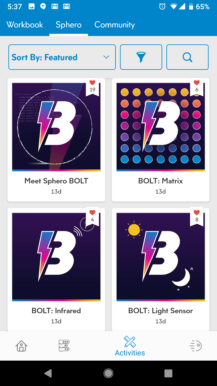 Since the Bolt has only been available for a month, most of the shared projects were originally created for Sphero's other products, but the vast majority are still compatible with the Bolt. The only programs that won't fully work are ones created for non-sphere robots (like Sphero's R2-D2) or ones that use code blocks not available for the Bolt (like ones using R2-D2 noises). 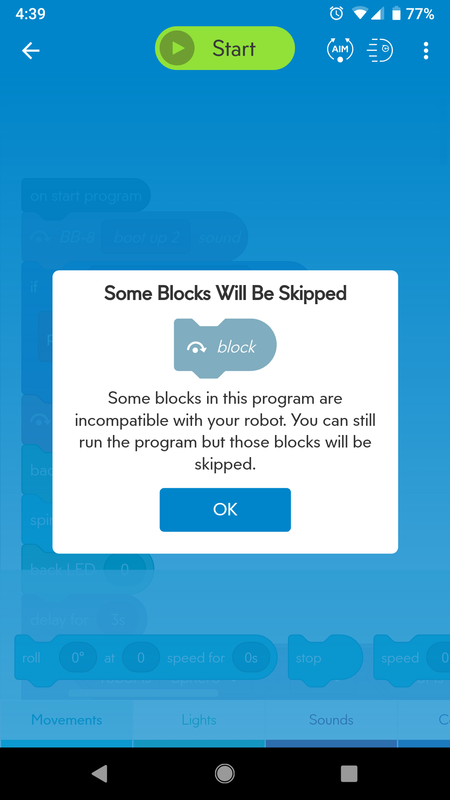 The Edu app will still try to run these programs, but non-compatible blocks will be skipped over. The 'Programs' tab contains your current projects, as well as a featured gallery of programs. 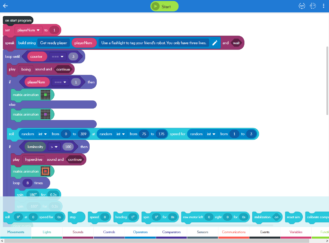 When you create a new program, you can choose from three different types - Draw, Blocks, and Text. You can also select which robots you want your project to work with. If you select anything except the Bolt, you won't be able to use the LED screen and infrared sensors. The 'Draw' type is intended for young/beginner users. You draw a line, and Bolt will follow it after you press Start. You can also change the movement speed and LED screen color. It's incredibly basic, but it works. The second program type is 'Blocks,' which uses the same Scratch-like coding interface that nearly every educational robot uses (including the 'Dot' and 'Cue' robots we previously reviewed). You can zoom in and out of the canvas, and there are a wide array of functions available. 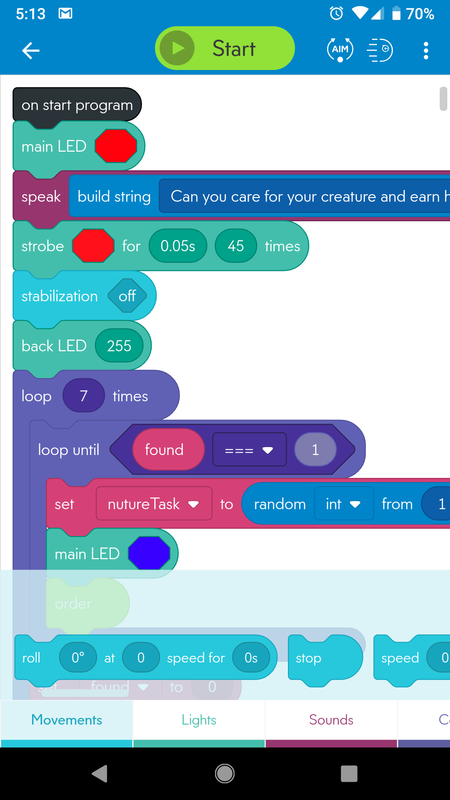 You can make Bolt roll in a certain direction, change the LED colors (or create custom patterns/animations), play sounds, use variables, and more. Experienced coders can use comparators, if/else statements, and multiple types of loops to create more complex programs. 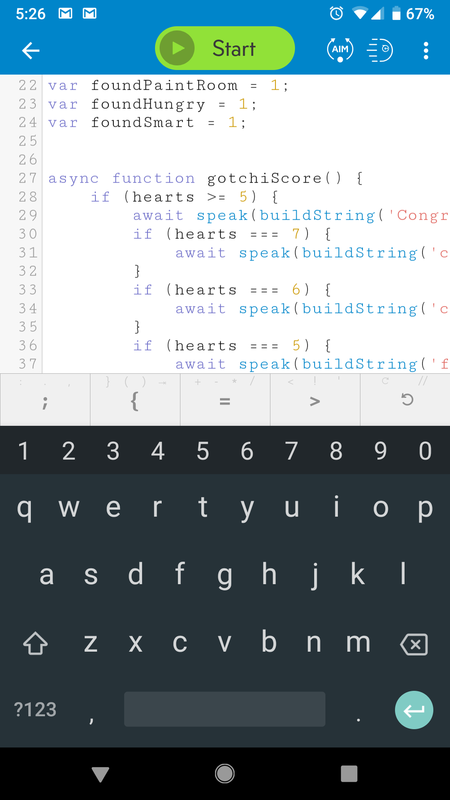 You can also create custom functions and use them across multiple programs. My only complaint with Blocks mode is that scrolling the canvas becomes laggy when you have large projects open. The third tab is 'Activities,' where you can complete a handful of interactive guides designed to help you learn programming. 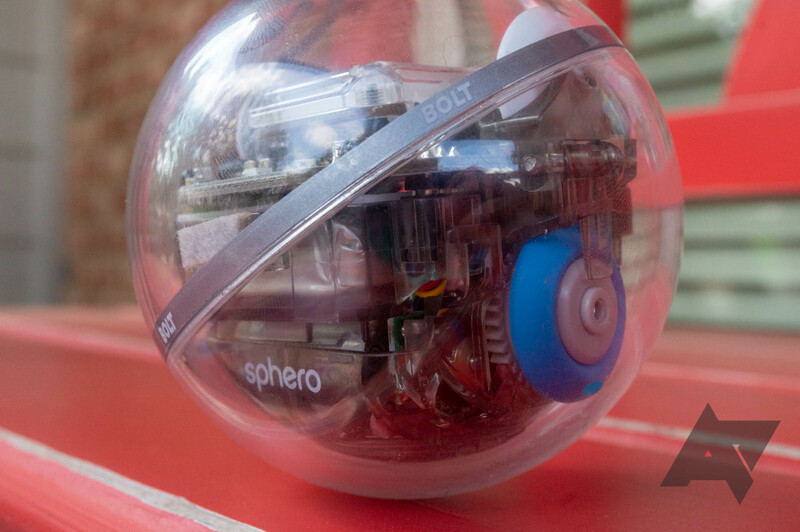 Sphero already has a few activities for the Bolt, but most of the ones created for earlier robots work too. When you want a break from programming, the final tab is a basic remote control for Bolt. You can roll it around, change its speed, and set a color for the LED panel. There's also a calibration tool, in case you forget which way the robot is facing. 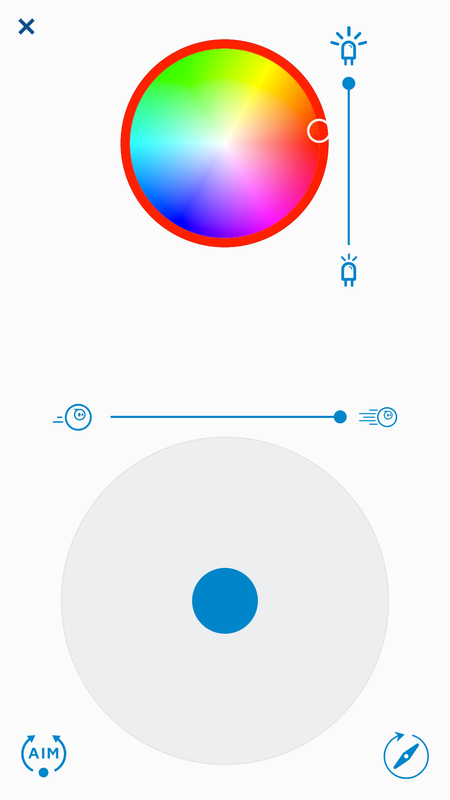 Overall, the Sphero Edu mobile app is very good. 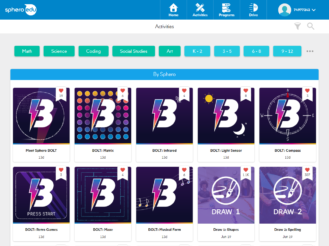 It's easy to use and responsive, and the vast amount of example projects (from both Sphero and the community) is great to have. I also like that all projects sync to the cloud, which means you can edit programs across multiple devices - including desktop computers. If you don't want to create and edit programs entirely on a phone or tablet, the Sphero Edu site has almost all the functionality of the mobile app. 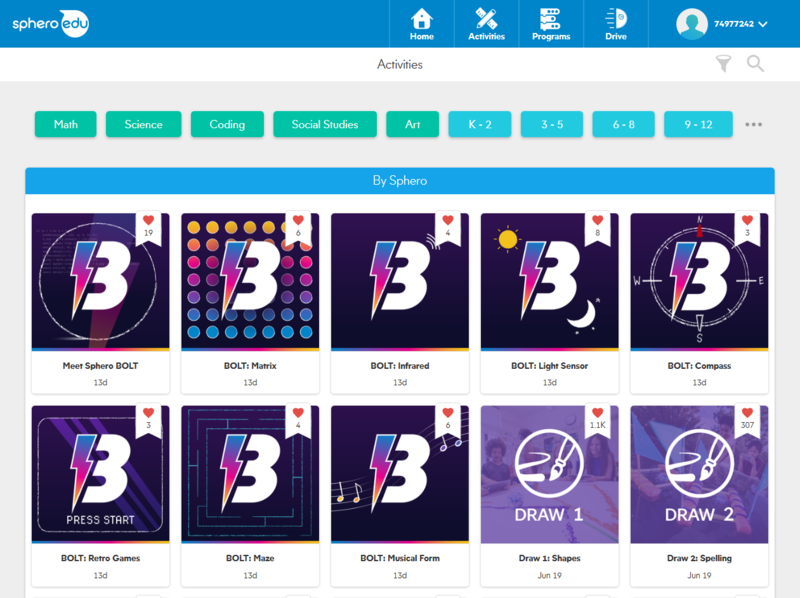 You can browse recently-uploaded projects, go through activities, and edit your existing programs. For the times when you need more screen space, the desktop site works well. The only catch is that you can't run programs from the desktop. To test your projects, you have to go back to the mobile app and open the desired program from your library. 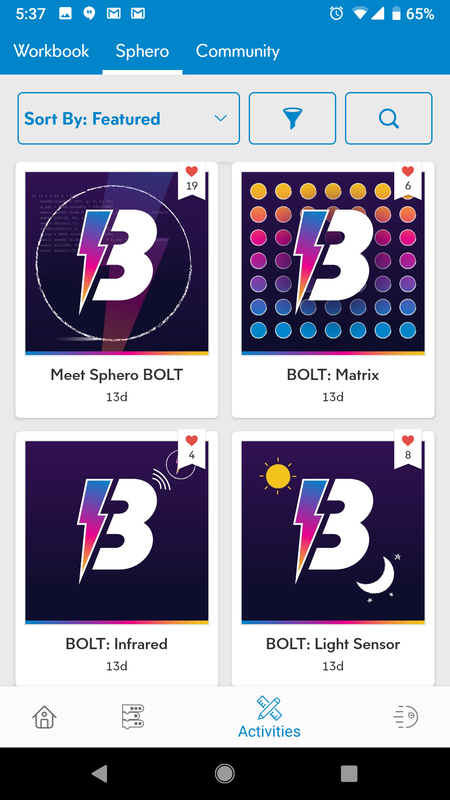 I would have loved to see Sphero use the Web Bluetooth API, so a computer could directly connect to the Bolt. To coincide with the Bolt's release, the app created for the Sphero Mini has been rebranded to 'Sphero Play' - it now works with the Mini, the SPRK+, and the Bolt. 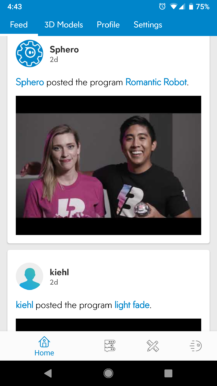 This is an ad for the Sphero Mini, but all the games shown in the video can run on the Bolt. There are multiple games available, like one where you use facial expressions to drive the robot. Sphero says the app will continue to be updated with new drive modes and games. Probably not. The Sphero Bolt is a nice product, but the asking price of $150 seems too high. The only benefits of the Bolt over older Sphero robots are the LED screen and the ability to communicate with other Bolts. The LED screen doesn't seem like a must-have feature, at least to me, and the communication feature is only useful if you're buying more than one Bolt. The larger battery means the Bolt will last longer on a single charge, but it takes longer to fully top it up. For a third of the Bolt's price, you can buy a Sphero Mini, which has almost all the Bolt's features. The Sphero Edu and Sphero Play applications are fully compatible with the Mini. Plus, as far as I can tell, it has all the same sensors as the Bolt with the exception of infrared (which is used to communicate between Bolt robots). You could even get three of them for the price of one Bolt. 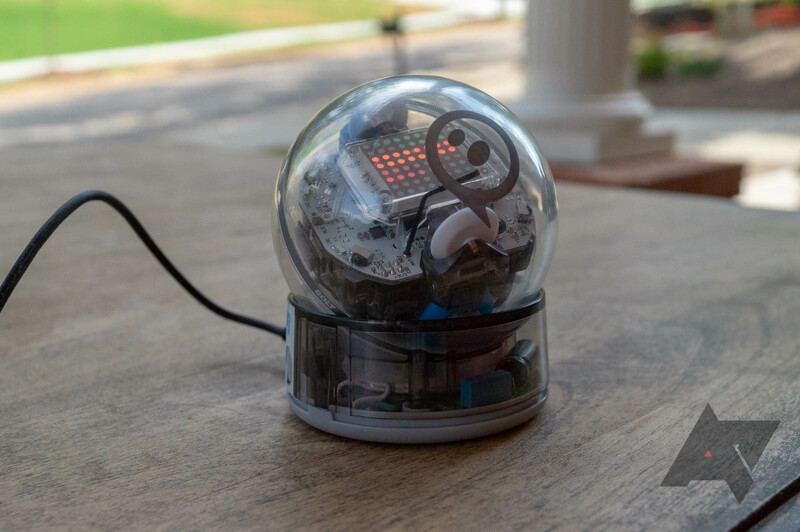 You have $150 to spend on a programmable ball. You really like the LED screen. You don't care about the infrared communication and LED screen. 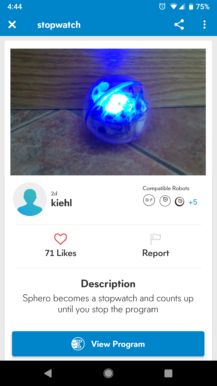 You already have one of Sphero's other robots. The Sphero Bolt can be purchased from Best Buy and Sphero's Store. Sphero also sells a 15-pack for classrooms, and a portable 'Power Pack' that can charge 15 units simultaneously.